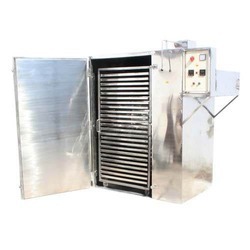 We offer Hot Air Oven and Tray Dryer manufactured with the assistance of our expert engineers, we are engaged in manufacturing and supplying hot air oven/tray dryer. 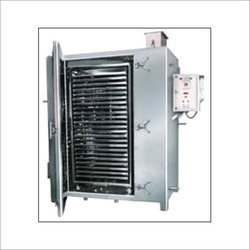 Hot Air Oven Dryer are widely used in various in pharmaceutical industry. The fabricated unit is electrically heated drying chamber, which is suitable for drying granules. Further, these are attached with double walled body, housing and insulated with heavy fiber glass wool, with special u type heaters, air circulation fan. 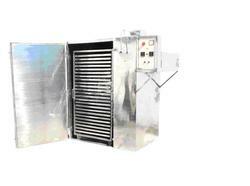 Hot Air Ovens products are made up of mid steel and are duly painted and finished inside with heat resistant aluminum paint. 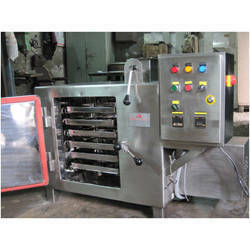 With the help of our diligent professionals, we have been able to provide commendable Hot Air Tray Dryer. This range of the products are fabricated quality-approved raw materials, attached with double walled body, housing and insulated with heavy fiber glass wool, with special u type heaters, air circulation fan. These products are widely used in varied pharmaceutical industries for drying granules. We supply Tray Dryer that is adequately designed by our designers and adroit personnel who take every care in the fabrication of a durable and highly efficient range of machines.